The Federal Housing Administration, under the umbrella of the United States Department of Housing and Urban Development, insures loans for all types of properties, including mobile homes. However, the FHA now exclusively uses the term manufactured home to refer to these dwellings, so information on mobile homes falls under that listing. It sets specific requirements the borrower and the property must meet to qualify for an FHA loan. 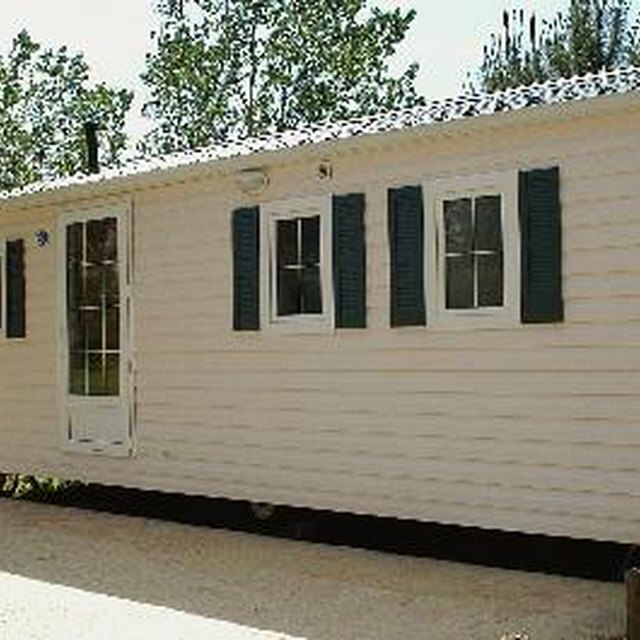 The FHA defines a manufactured home as one built in a climate-controlled manufacturing factory and transported to the site on a permanent chassis. It must be built to HUD code and display a red certification sticker on each transportable section. A borrower can obtain an FHA loan to purchase a manufactured home, the land or lot for a manufactured home, or a combination of a lot and home. The loan also can go toward refinancing an existing manufactured home. The home must be the principal residence of the borrower. The borrower must own or lease the lot or land the home sits on, or rent a lot from a manufactured home park. How to Tell if a Home is a Manufactured Home? Is It Easier to Get Financed for a Mobile Home Than for a Traditional Home? Borrowers who live in high cost areas may be eligible for a loan maximum increase of up to 85 percent.